My key criterion is to start from a laptop, rather than a desktop PC: laptops are powerful enough for almost anything, and they provide more versatility. When used in office, or home desk, one can plug in external keyboard, mouse/trackball and display, and use the local network resources such as printers and file servers. The Thunderbolt interface has made it easy to have all those things plugged in via a single connector, so I’d recommend checking that the laptop comes with Thunderbolt (it uses USB-C type connector, but not all USB-C ports are Thunderbolt ports). When we talk about laptops, my key criteria would be to first look at the weight and get as light device as possible, considering two other key criteria: excellent keyboard and good touch display. The reasons for those priorities are that I personally carry the laptop with me pretty much always, and weight is then a really important factor. If thing is heavy, the temptation is just to leave it where it sits, rather than pick it up while rushing into a quick meeting. And when in the meeting one needs to make notes, or check some information, one is at the mercy of a smartphone picked from the pocket, and the ergonomics are much worse in that situation. Ergonomics relate to the point about excellent keyboard and display, alike. Keyboard is to me the main interface, since I write a lot. Bad or even average keyboard will make things painful in the long run, if you write hours and hours daily. Prioritising the keyboard is something that your hands, health and general life satisfaction will thank, in the long run. Touch display is something that will probably divide the opinions of many technology experts, even. In the Apple Macintosh ecosystem of computers there is no touch screen computer available: that modality is reserved to iPad and iPhone mobile devices. I think that having a touch screen on a laptop is something that once learned, one cannot go away from. I find myself trying to scroll and swipe my non-touchscreen devices nowadays all the time. Windows 10 as an operating system has currently the best support for touch screen gestures, but there are devices in the Linux and Chromebook ecosystems that also support touch. Touch screen display makes handling applications, files easier, and zooming in and out of text and images a snap. Moving hands away from keyboard and touchpad every now and then to the edges of the screen is probably also good for ergonomics. However, trying to keep one’s hands on the laptop screen for extended times is not a good idea, as it is straining. Touch screen is not absolutely needed, but it is an excellent extra. However, it is important that the screen is bright, sharp, and has wide viewing angles; it is really frustrating to work on dim washed-out displays, particularly in brightly lit conditions. You have to squint, and end up with a terrible headache at the end of the day. In LCD screens look for IPS (in-plane switching) technology, or for OLED screens. The latter, however, are still rather rare and expensive in laptops. But OLED has the best contrast, and it is the technology that smartphone manufacturers like Samsung and Apple use in their flagship mobile devices. All other technical specifications in a laptop PC are, for me, secondary for those three. It is good to have a lot of memory, a large and fast SSD disk, and a powerful processor (CPU), for example, but according to my experience, if you have a modern laptop that is light-weight, and has excellent keyboard and display, it will also come with other specs that are more than enough for all everyday computing tasks. 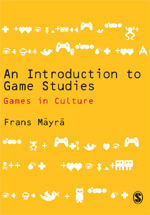 Things are a bit different if we are talking about a PC that will have gaming as its primary use, for example. Then it would be important to have a discrete graphics card (GPU) rather than only the built-in, integrated graphics in the laptop. That feature, with related added requirements to other technology means that such laptops are usually more pricey, and a desktop PC is in most cases better choice for heavy duty gaming than a laptop. But dedicated gaming laptops (with discrete graphics currently in the Nvidia Pascal architecture level – including GTX 1050, 1060 and even 1080 types) are evolving, and becoming all the time more popular choices. Even while many of such laptops are thick and heavy, for many gamers it is nice to be able to carry the “hulking monster” into a LAN party, eSports event, or such. But gaming laptops are not your daily, thin and light work devices for basic tasks. They are too overpowered for such uses (and consume their battery too fast), and – on the other hand – if a manufacturer tries fitting in a powerful discrete graphics card into a slim, lightweight frame, there will be generally overheating problems, if one really starts to put the system under heavy gaming loads. The overheated system will then start “throttling”, which means that it will automatically decrease the speed it is operating with, in order to cool down. These limitations will perhaps be eased with the next, “Volta” generation of GPU microarchitecture, making thin, light and very powerful laptop computers more viable. They will probably come with a high price, though. Said all that, I can then highlight few systems that I think are worthy of consideration at this timepoint – late March, 2018. To start from the basics, I think that most general users would profit from having a close look at Chromebook type of laptop computers. They are a bit different from Windows/Mac type personal computers that many people are mostly familiar with, and have their own limitations, but also clear benefits. The ChromeOS (operating system by Google) is a stripped down version of Linux, and provides fast and reliable user experience, as the web-based, “thin-client” system does not slow down in same way as a more complex operating system that needs to cope with all kinds of applications that are installed locally into it over the years. Chromebooks are fast and simple, and also secure in the sense that the operating system features auto-updating, running code in secure “sandbox”, and verified boot, where the initial boot code checks for any system compromises. The default file location in Chomebooks is a cloud service, which might turn away some, but for a regular user it is mostly a good idea to have cloud storage: a disk crash or lost computer does not lead into losing one’s files, as the cloud operates as an automatic backup. ASUS Chromebook Flip (C302CA; photo © ASUS). 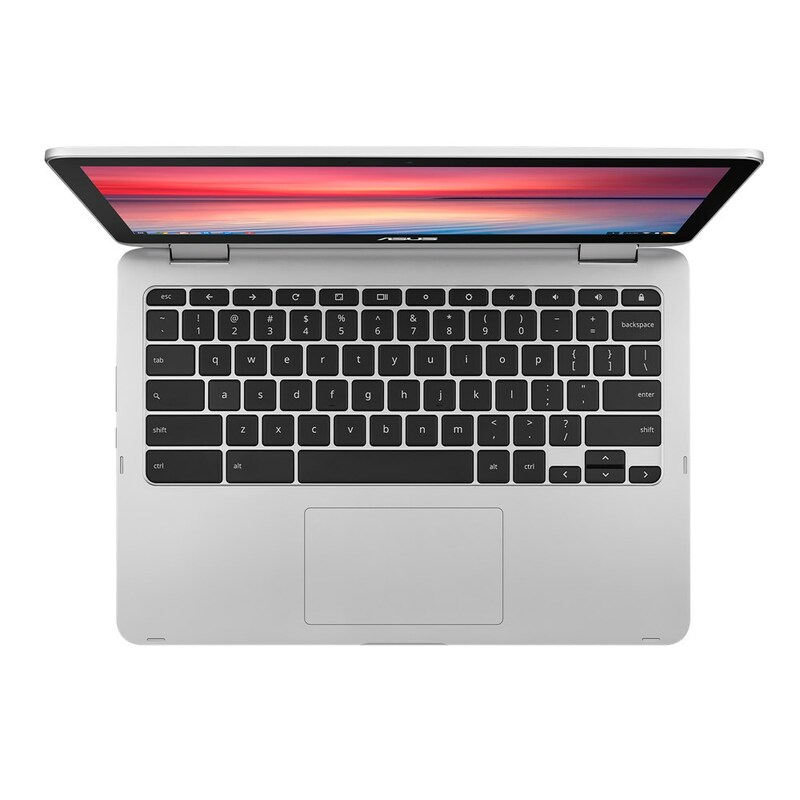 ASUS Chromebook Flip (C302CA model) [see link] has been getting good reviews. I have not used this one personally, and it is on the expensive side of Chromebooks, but it has nice design, it is rather light (1,18 kg / 2,6 pounds), and keyboard and display are reportedly decent or even good. It has a touch screen, and can run Android apps, which is becoming one of the key future directions where the ChromeOS is heading. As an alternative, consider Samsung Chromebook Pro [see link], which apparently has worse keyboard, but features an active stylus, which makes it strong when used as a tablet device. For premium business use, I’d recommend having a look at the classic Thinkpad line of laptop computers. Thin and light Thinkpad X1 Carbon (2018) [see link] comes now also with a touch screen option (only in FHD/1080p resolution, though), and has a very good keyboard. It has been recently updated into 8th generation Intel processors, which as quad-core systems provide a performance boost. For a more touch screen oriented users, I recommend considering Thinkpad X1 Yoga [see link] model. Both of these Lenovo offerings are quite expensive, but come with important business use features, like (optional) 4G/LTE-A data card connectivity. Wi-Fi is often unreliable, and going through the tethering process via a smartphone mobile hotspot is not optimal, if you are running fast from meeting to meeting, or working while on the road. The Yoga model also used to have a striking OLED display, but that is being discontinued in the X1 Yoga 3rd generation (2018) models; that is replaced by a 14-inch “Dolby Vision HDR touchscreen” (max brightness of 500 nits, 2,560 x 1,440 resolution). HDR is still an emerging technology in laptop displays (and elsewhere as well), but it promises a wider colour gamut – a set of available colours. Though, I am personally happy with the OLED in the 2017 model X1 Yoga I am mostly using for daily work these days. X1 Carbon is lighter (1,13 kg), but X1 Yoga is not too heavy either (1,27 kg). Note though, that the keyboard in Yoga is not as good as in the Carbon. 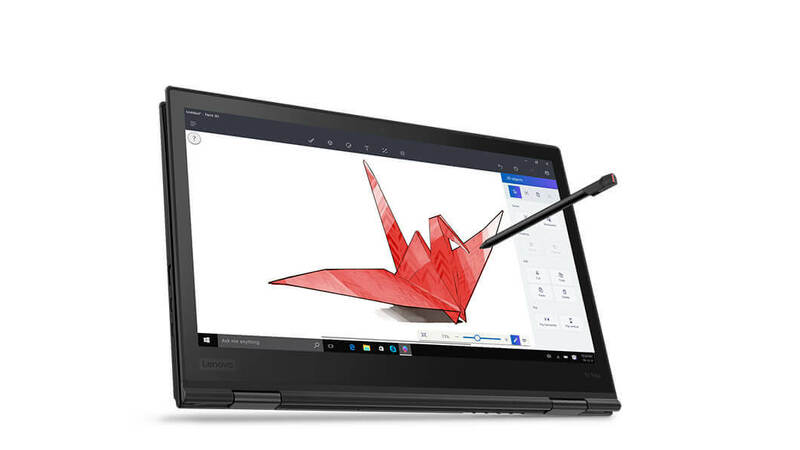 Thinkpad X1 Yoga (image © Lenovo). Dell XPS 13 (2018) [see link] line of ultraportable laptops with their excellent “InfinityEdge” displays has also been updated to 8th gen quad core processors, and is marketed as the “world’s smallest 13-inch laptop”, due to the very thin bezels. With the weight of 1,21 kg (2,67 pounds), XPS 13 is very compact, and some might even miss having a bit wider bezels, for easier screen handling. XPS does not offer 4G/LTE module option, to my knowledge. ASUS Zenbook Pro (UX550) [see link] is a 15-inch laptop, which is a bit heavier (with 1,8 kg), but it scales up to 4k displays, and can come with discrete GTX 1050 Ti graphics option. For being a bit thicker and heavier, Zenbook Pro is reported to have a long battery life, and rather capable graphics performance, with relatively minor throttling issues. It has still 7th gen processors (as quad core versions, though). Nice, pretty lightweight 15-inch laptops come from Dell (XPS 15) [see link] and LG, for example – particularly with LG gram 15 [see link], which is apparently a very impressive device, and weighs only 1,1 kg while being a 15-inch laptop; it is shame we cannot get it here in Finland, though. 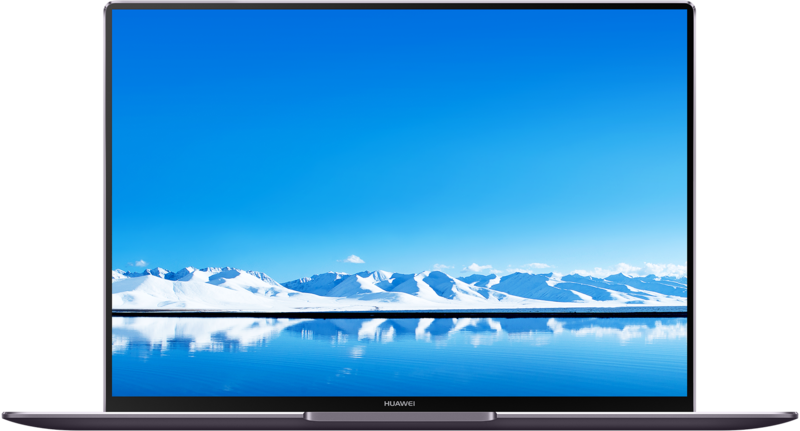 Huawei Matebook X Pro (photo © Huawei). As Apple has (for my eyes) ruined their excellent Macbook Pro line, with too shallow keyboard, and by not proving any touch screen options, people are free to hunt for Macbook-like experiences elsewhere. Chinese manufacturers are always fast to copy things, and Huawei Matebook X Pro [see link] is an interesting example: it has a touch screen (3K LTPS display, 3000 x 2000 resolution with 260 PPI, 100 % colour space, 450 nits brightness), 8th gen processors, GTX MX 150 discrete graphics, 57,4 Wh battery, Dolby Atmos sound system, etc, etc. This package weighs 1,33 kg. It is particularly nice to see them not copying Apple in their highly limited ports and connectivity – Matebook X Pro has both Thunderbolt/USB-C, but also the older USB-A, and a regular 3,5 mm headphone port. I am dubious about the quality of the keyboard, though, until I have tested it personally. And, one can always be a bit paranoid about the underlying security of Chinese-made information technology; but then again, the Western companies have not proved necessarily any better in that area. It is good to have more competition in the high end of laptops, as well. Finally, one must mention also Microsoft, which sells its own Surface line of products, which have very good integration with the touch features of Windows 10, of course, and also generally come with displays, keyboards and touchpads that are among the very best. Surface Book 2 [see link] is their most versatile and powerful device: there are both 15-inch and 13,5-inch models, both having quad-core processors, discrete graphics (up to GTX 1060), and good battery life (advertised up to 17 hours, but one can trust that the real-life use times will be much less). Book 2 is a two-in-one device with a detachable screen that can work independently as a tablet. However, this setup is heavier (1,6 kg for 13,5-inch, 1,9 kg for the 15-inch model) than the Surface Laptop [see link], which does not work as a tablet, but has a great touch-screen, and weighs less (c. 1,5 kg). The “surface” of this Surface laptop is pleasurable alcantara, a cloth material. 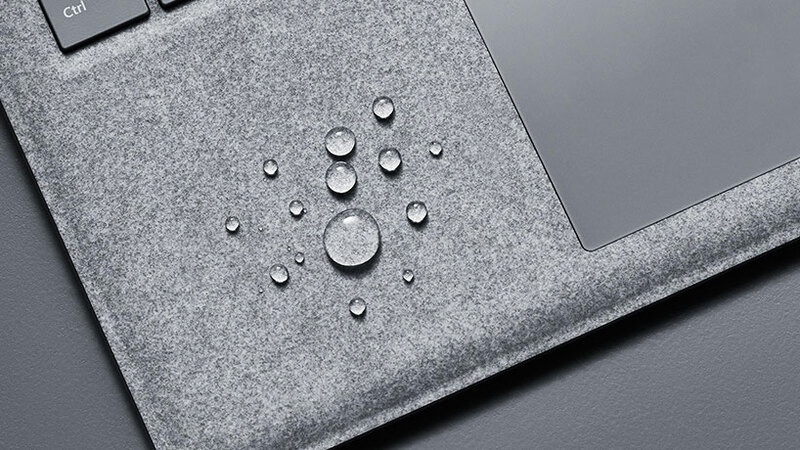 MS Surface Laptop with alcantara (image © Microsoft). To sum up, there are many really good options these days in personal computers, and laptops in general have evolved in many important areas. Still it is important to have hands-on experience before committing – particularly if one is using the new workhorse intensely, this is a crucial tool decision, after all. And personal preference (and, of course, available budget) really matters.